Pu-erh Cake Tea, also known as Round Tea, belongs to compressed tea. With a round cake shape, it has a nice appearance and looks quite like a full moon. Cake Tea is the most typical representative of Pu’er teas. Pu-erh Cake Tea, also known as Round Tea, belongs to compressed tea. With a round cake shape, it has a nice appearance and looks quite like a full moon. Cake Tea is the most typical representative of Pu’er teas. Every piece of tea cake is about 20 centimeters in diameter and 357 grams in weight. The top of tea cake protrudes slightly. The center is 2 centimeters thick, while the edge is thinner, just 1 centimeter thick. Pu-erh Cake Tea is classified into Cooked / Ripen tea and Raw tea. The former one is reddish auburn and sleek. The beverage looks red and bright, tastes rich and sweet with an aging aroma. The later one changes color and shape as time goes by. In general, it is greenish brown and sleek. The beverage looks reddish yellow and shining. It has a fragrant aroma which makes you enjoy a fresh and mellow taste along with a sweet aftertaste and the promotion of the secretion of saliva. Fengqing Ripened Tribute Pu-erh Cake Tea 2007，Fengqing Golden Buds Ripened Pu-erh Cake Tea 2005, Fengqing Raw Pu-erh Cake Tea 2006 Paddy Flavor. 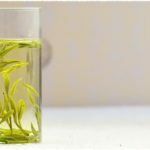 TeaVivre has done an overall survey of various Cake Teas for two months. Moreover, the senior tea specialist of TeaVivre, Angel Chen, brewed and tasted every kind of them in person. Eventually, Teavivre introduces three kinds of Puerh Cake Teas from Sanning Tea Factory in Fengqing, Yunnan. They are Fengqing Ripened Tribute Pu-erh Cake Tea 2007, Fengqing Golden Buds Ripened Pu-erh Cake Tea 2005, Fengqing Raw Pu-erh Cake Tea 2006 Paddy Flavor. All the raw materials are picked from old large-leaf arbor trees, which are 30-40 years old. Moreover, tea leaves of the best quality are carefully selected to make the Cake Tea. 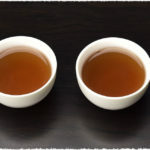 These two kinds of cooked tea can do you a great favor to lose weight, which have a large number of helpful bacteria. 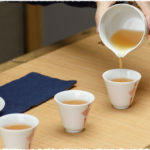 Moreover, the teas are mild, and they can warm and nourish the stomach. Fengqing Raw Pu-erh Cake Tea 2006 Paddy Flavor: Parts of raw materials are picked by hand in March, 2006, while the others are picked by hand in September, 2005. This kind of Raw Pu’er cake tea is intense and deep with a little bitter flavor. However, it can linger over your throat with sweetness. The Raw Pu’er tea is relatively strong, since the polyphenol content is very high. Thank you. We are contacting some suppliers, and we will offer the cooked tea later.